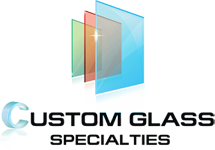 Improve the look of your home or business with custom cut glass. The specialists at our glass company in San Diego, California, create breathtaking and beautiful products that enhance any living area. We have proudly provided residential and commercial glass design and installation for more than 26 years. For creative designs and customized glass services, you can depend on our custom glass contractor. 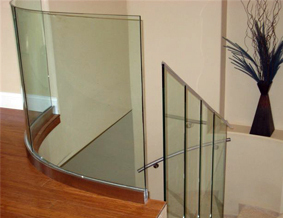 We're a cut above the rest if you're looking for custom glass! Our customer service is exceptional; our glass installers are highly skilled; and our products are exceptionally crafted. You'll enjoy "A Touch of Glass" when you choose us for your glass design and custom glass installation. In addition, we are licensed, bonded, and insured company that ensures you always receive the finest products every time. Install your mirrors and glass the easy way by depending on our specialists for custom glass installation. We are not only experienced at designing and cutting glass, but we also excel at installing it anywhere. From single-story homes to high-rise buildings, we are totally committed to ensuring the job is completed accurately and on time. Don't order your custom cut glass online. Other companies may ask you to input your specifications in an online form, but you may be disappointed with the results. 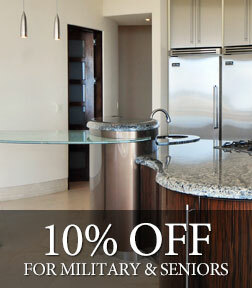 When you want a quality finished product, allow our friendly and knowledgeable team to help. Our custom glass contractor ensures that your glass is accurately cut and meets or exceeds your expectations. Contact our custom glass contractor for free estimates on your next project. We proudly serve residential and commercial customers in San Diego, Chula Vista, Carlsbad, Rancho Bernardo, and Mira Mesa, as well as the surrounding areas.